Zero Motorcycles have now made their 2018 range a l-i-t-t-l-e bit more exciting by adding 10% more range and faster charging. 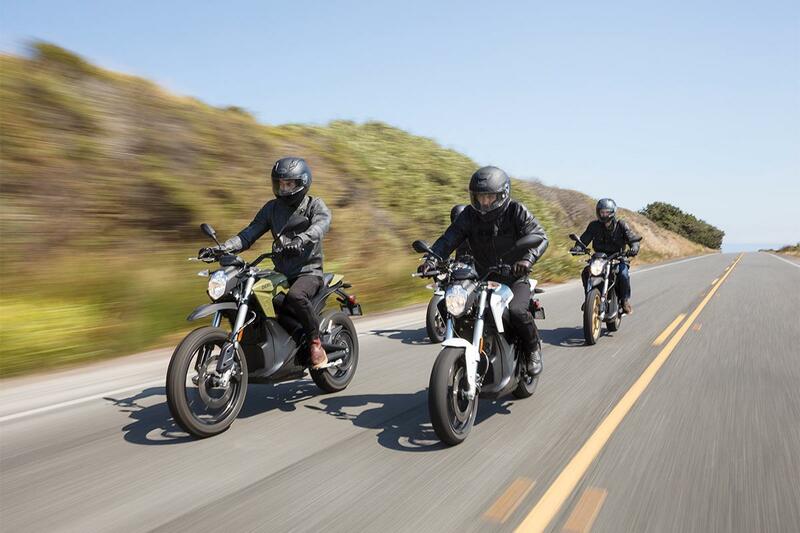 The electric motorcycle manufacturer has introduced three new batteries; the ZF14.4, ZF7.2 and ZF3.6. Basically, these offer more range and better performance than their current batteries. If owners choose to equip Zero's optional ZF3.6 Power Tank to the largest battery - the ZF14.4 - that could see a range of 223 miles during city riding. “Zero continues to push the boundaries of what’s possible in the electric motorcycle space,” said Todd Andersen, Zero’s VP of Marketing, Sales and Aftersales. “Riders who’ve been waiting for more range and faster charging don’t have to wait any longer to go electric." To reduce charge time Zero have also launched a 6kW Charge Tank, which can be fitted to all Zero S, SR, DS and DSR models. When combined with the standard charger the Charge Tank drops the charge time for ZF7.2 models to one hour (from 0 to 95%) and reduces the charge time for ZF14/4 batteries to two hours. The US bike-maker has also made a few more changes for 2018. All models featuring the ZF7.2 batteries have 11% more torque than previous. The Zero S and DS models using the ZF14.4 battery have been tuned to deliver 30% more power and torque. The upgrades are being delivered at the same price as last year’s models with the exception of a £500 price increase to The flagship Zero SR and Zero DSR are the only two that get a price increase: £500 over the current price (do you see what I did there?). The new Charge Tank is a factory-installed option that will cost £2,300. All models in the Zero range have been updated with new graphics for 2018.